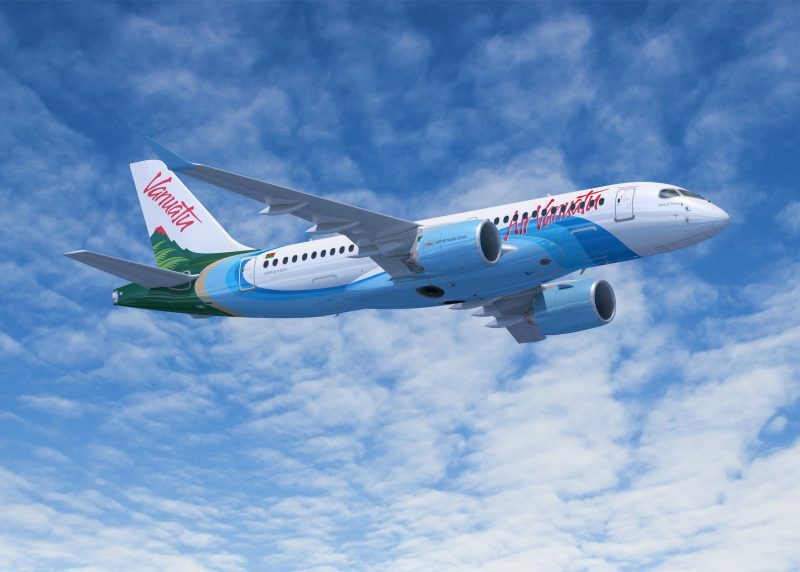 Airbus has secured its first A220 customer in the South Pacific with Air Vanuatu to operate the regional jet from 2020. 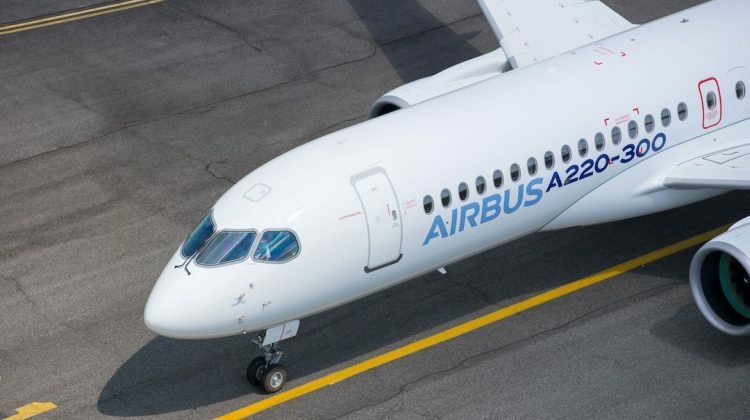 It was expected to receive two A220s in 2020, with the remaining two aircraft to be delivered in 2021 and 2022. Air Vanuatu chairman Joel Lengsau said the aircraft would be used to boost frequencies on existing routes and expand to new domestic and international ports. “The addition of the A220 into our fleet will give Air Vanuatu flexibility to increase our network and provide additional services to more destinations with a greater level of customer comfort,” Lengsau told reporters at the airshow. “The new aircraft will also mean additional jobs for pilots and cabin crews, together with maintenance and ramp teams at airports. The A220 was formerly known as the CSeries when the program was managed by Bombardier. 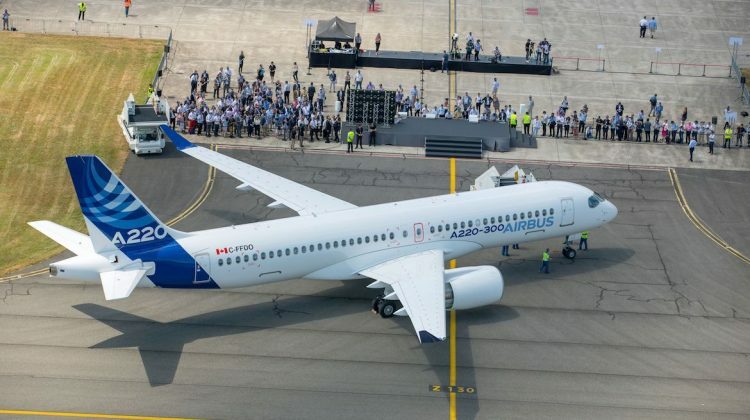 However, in October 2017 Airbus struck an agreement with Bombardier to become a partner and 50.01 per cent majority shareholder in the CSeries, with Bombardier and the Quebec government’s investment arm, Investissement Québec, owning approximately 34 per cent and 16 per cent, respectively. 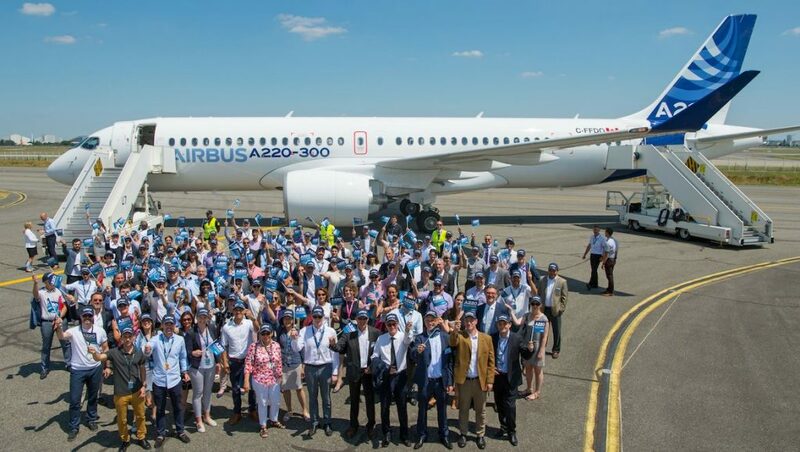 The deal was finalised on July 1 2018 and later in the month Airbus officially rebranded the CSeries as the A220 at an event held at its Toulouse headquarters. 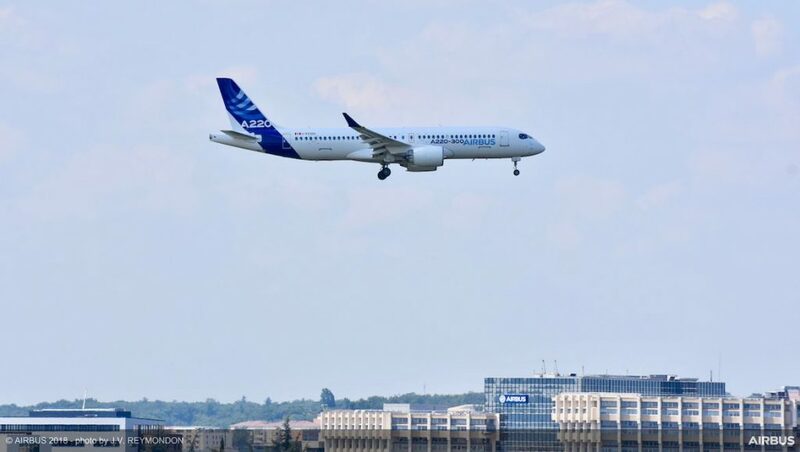 Powered by the Pratt & Whitney PW1500G geared turbofans, the A220 family comprises two models – the A220-100 (100-135 seats) and A220-300 (130-160 seats), formerly Bombardier’s CS100 and CS300. 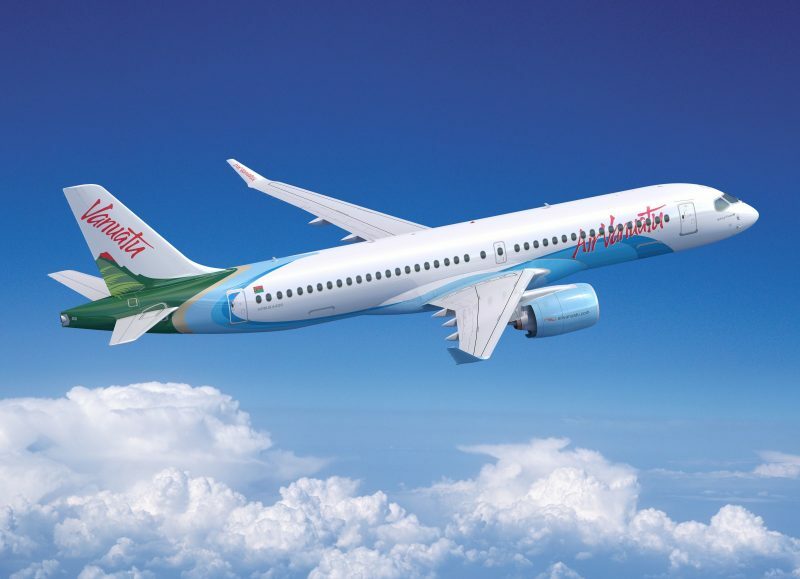 Air Vanuatu’s order comprised two A220-100s that will feature eight business and 100 economy seats, and two A220-300s with eight business and 125 economy seats. 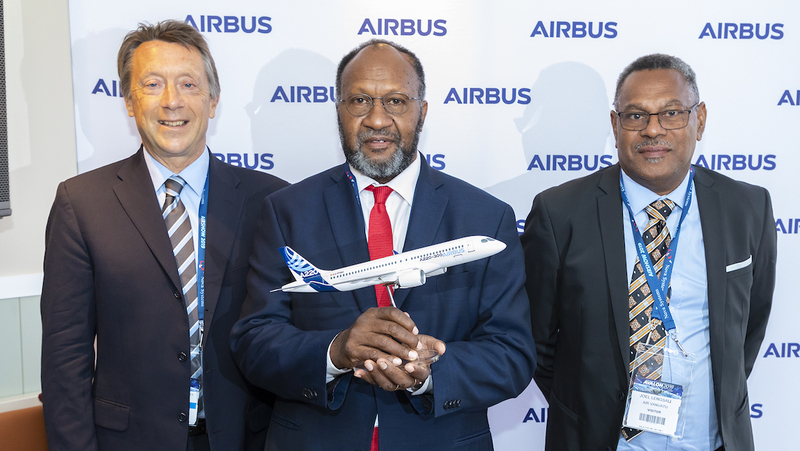 Airbus executive vice-president for Europe, Africa and the Pacific Christopher Buckley said the A220 would “revolutionise the transport potential for Vanuatu”. 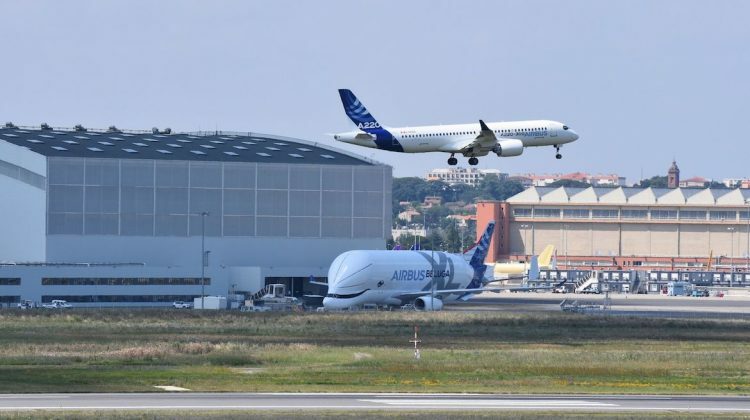 “We at Airbus are looking forward to providing all kinds of support, all kinds of training to make this operation a fabulous success,” Buckley said. Buckley said the A220 was well suited to this part of the world given its air field performance, range and operating economics. “The aircraft can fly for up to seven hours so enormous potential if you like for an area like the Pacific, where the distances are huge,” Buckley said. “For years and years now in the Pacific the staple aircraft have been the A320 or the 737 but for many of the markets the aircraft are just too big. A lot of the frequencies are just two or three times a week. 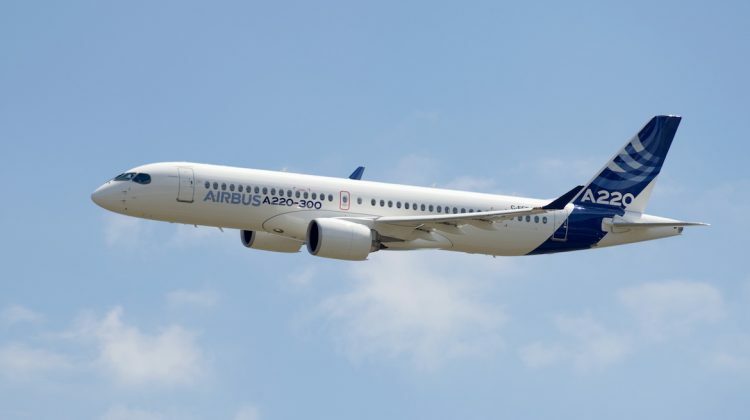 At January 31 2019, the A220 had secured 532 orders from 20 customers, according to the Airbus website. Of those, 449 were for the larger A220-300 and 83 for the A220-100. Notable operators include airBaltic, Korean Air and Swiss. Currently, Air Vanuatu’s Australian network comprises Brisbane-Port Vila, Brisbane-Luganville and Sydney-Port Vila. Earlier in 2019, the airline announced it would begin nonstop Port Vila-Melbourne flights from June. Qantas has its QF airline code on Air Vanuatu’s services to Australia. Its other international destinations include Auckland in New Zealand, Nadi in Fiji and Noumea in New Caledonia. Lengsau said new destinations under consideration with the arrival of the A220 included Papua New Guinea and the Solomon Islands. Vanuatu Prime Minister Charlot Salwai Tabimasmas said the Air Vanuatu order for A220s was part of the country’s “Shared Vision 2030”, which brings the national flag carrier, airports and other stakeholders under a united goal of growing the tourism sector. “It is an important sector and we should continue to invest in this sector because we have more potential in tourism to offer and to discover in Vanuatu,” Tabimasmas said. 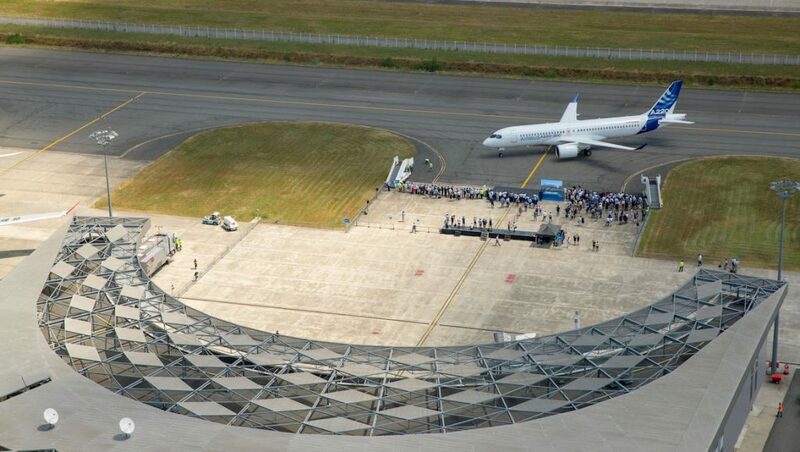 Other tourism infrastructure upgrades included bringing the runway at Port Vila Bauerfield Airport up to Code E standard, meaning it will be able to take widebody aircraft such as the Airbus A330 or Boeing 787 on a regular basis. Longer term, the airport was also expected to get a new passenger terminal. Tabimasmas noted tourism represented about 40 per cent of the island nation’s gross domestic product (GDP). The government is the major shareholder in Air Vanuatu. Vanuatu was also in discussions with Australia regarding an expansion of the current air services agreement to add extra capacity between the two countries. According to the Australian Department of Infrastructure website, at December 2017 Air Vanuatu was utilising 1,360 of the 4,000 available seats weekly to the four major gateways of Brisbane, Melbourne, Perth and Sydney. There are no limits on flights to other destinations. Virgin Australia is the only Australian carrier with nonstop flights to Vanuatu. It currently flies between Brisbane and Port Vila. Air Vanuatu currently has one Boeing 737-800 in its fleet, as well as two ATR turboprops and three Twin Otters. There is also one additional 737-800 operating under a wet lease arrangement. 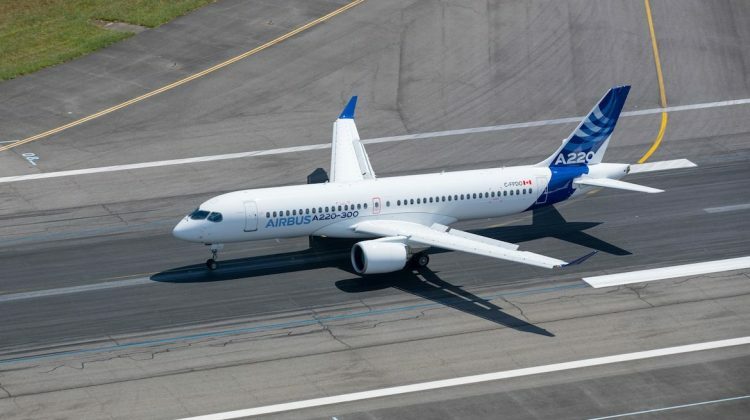 Lengsau said the airline would continue to operate the 737-800 even as the A220s arrived in the fleet. Expensive option for a small carrier. Hope it goes ok for them. Yes good to see the A220 getting a foothold in our region, however to be brutally honest cannot see AIR VANUATU operating four of them, thats a heck of a leap to what they are operating now. They will be seeking loans and ”donations” from lets say better off Pacific nations, ie us and NZ. Vanuatu is a beautiful country having visited there many years ago, so, wish them well with this venture. Good for them, Qantas and Air NZ should definitely consider the type IMO. Will be worth a trip to Vanuatu just to try it out. I doubt Virgin or Qantas will order these aircraft anytime soon considering the large Fokker 100 fleets they operate. Plus Virgin just got rid of their 190’s not long ago. Probably cost about the same as a 737 to operate.